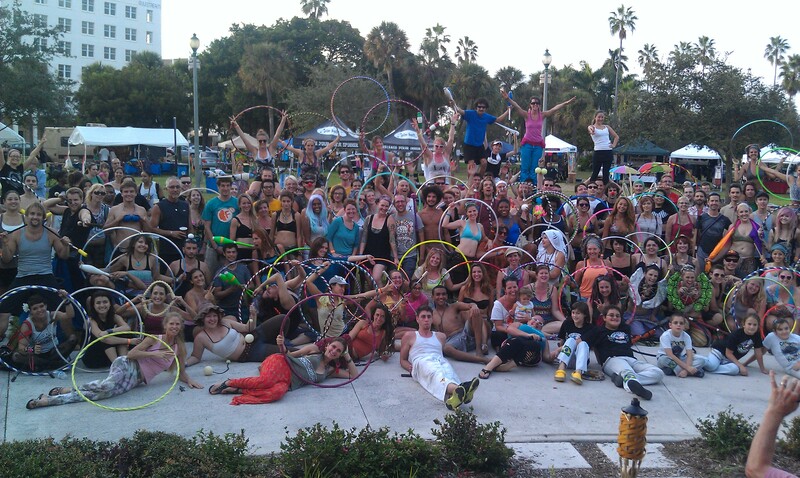 Three days of wonderful fun and heartwarming moments at Florida Flow Fest will be hard to recap in words. I was thrilled to be in the instructor lineup with two workshops. And even more happy to reconnect with some of my favorite people. Thanks, Cassandra for having me at F3! Here’s a panorama of hoopers figuring out how to incorporate unusual movements into their hoop dance during the Hello, Hoop Dance workshop. We did the Hoop Dance Game together and discussed the ideas of GlitterGirl’s 7 Layer Dip theory of spin performance. Workshop participants show off their group formation and movement routines at the end of the Group Shapeshifting workshop. We covered ways to move groups around stage and how simple movements can be dynamic and interesting when done in a group. 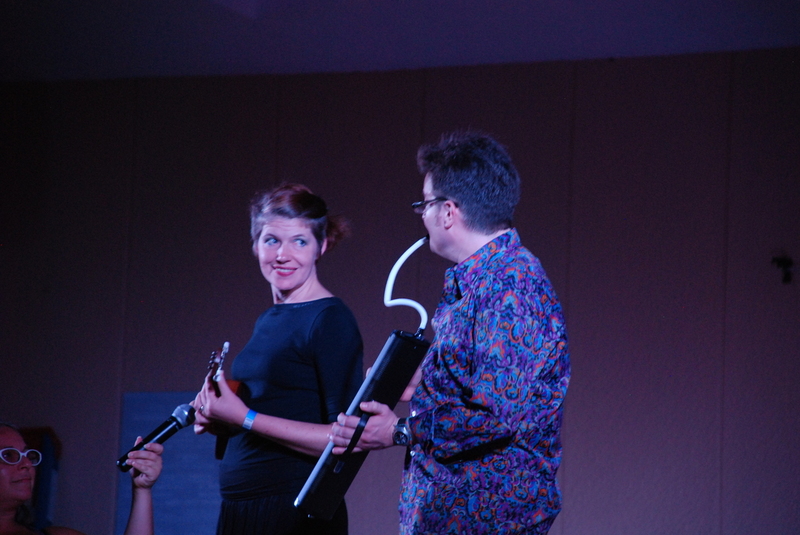 Tink & Tod sang two songs in the Friday evening showcase. It was our debut as a duo and although it wasn’t perfect, we sure did have fun. The “family photo” shot on Sunday. So many inspiring teachers, flow artists, and new friends. If you haven’t been to a flow festival lately, put one on your calendar for 2014. Whether it’s something local or one far away, gathering together to share ideas and smiles is a brilliant way to spend a weekend.